Mentally drained, gasping for breath and stumbling through thigh-deep snow just to put one foot in front of the other. 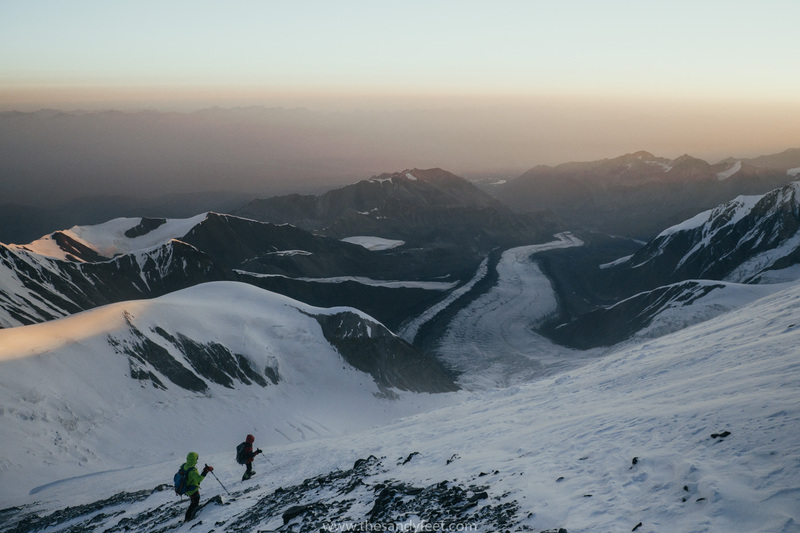 Lenin Peak may be called the world’s easiest 7,000m mountain, but don’t let anyone tell you that climbing Peak Lenin is easy. 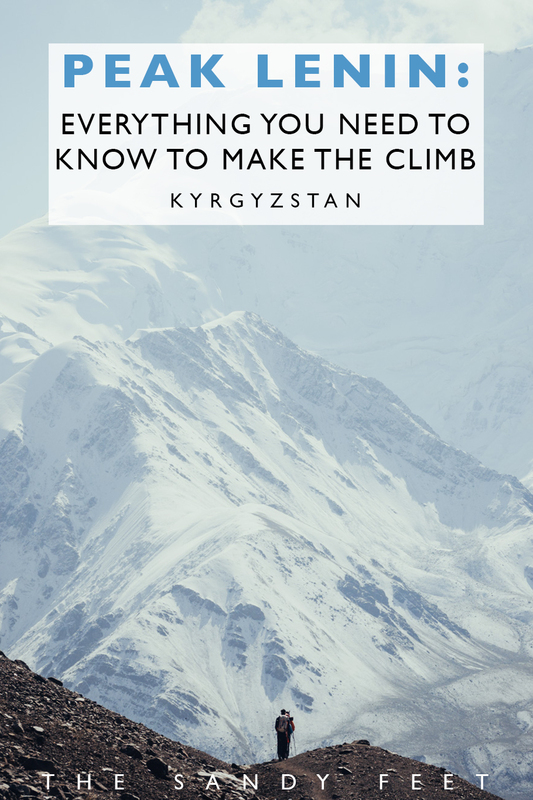 This accolade, technically correct and yet foolishly misleading, is the lure that entices people from all over the world to conquer the treacherous mountain that straddles the border between Kyrgyzstan and Tajikistan. 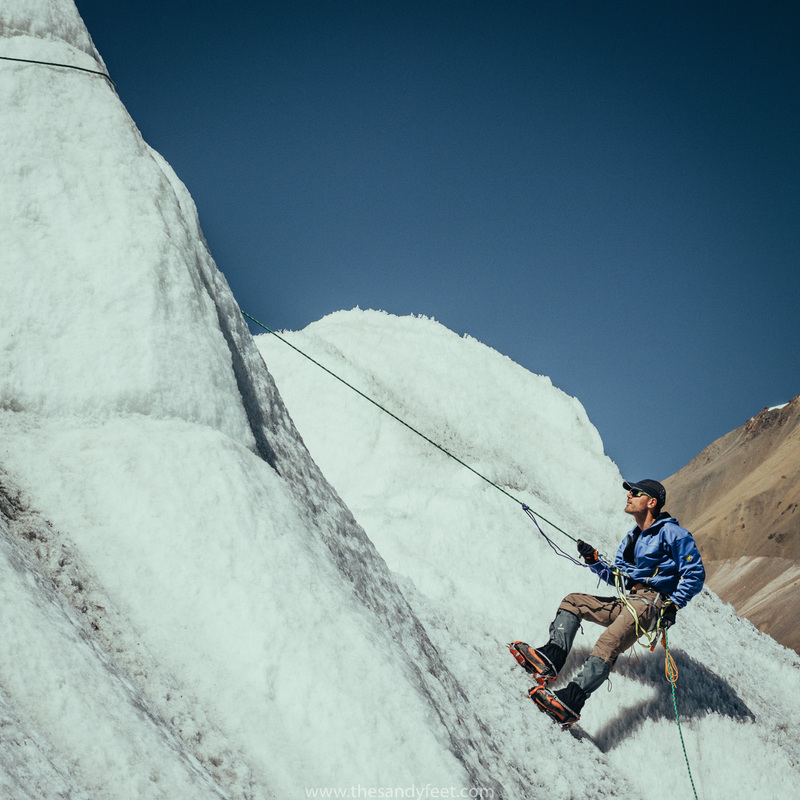 Daring novices seeking a touch of danger, hiking aficionados looking for a challenge and proper alpinists keen to tick another monster off their lists. 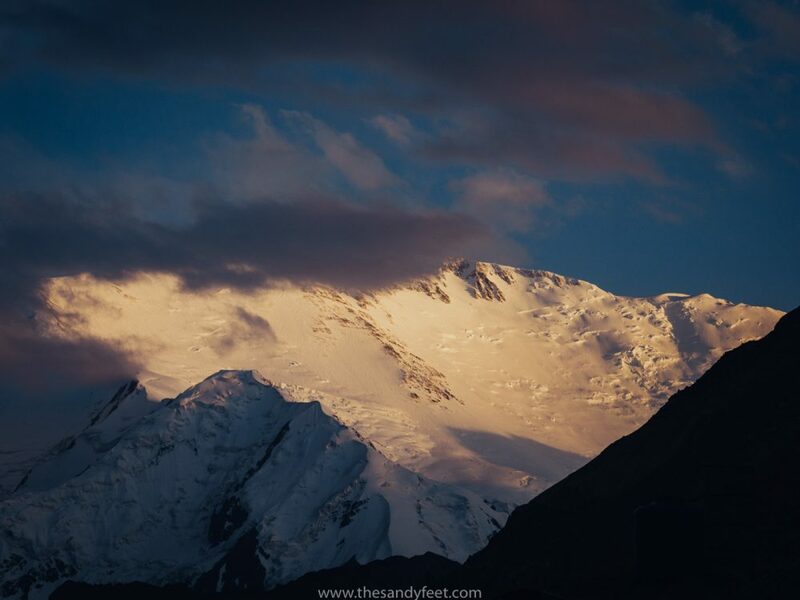 What Lenin Peak’s somewhat deceptive tagline fails to convey is that a 7,000m mountain, however straightforward and untechnical, is no joke, or that Peak Lenin remains the site of the worst mountaineering accident in history when an earthquake triggered an avalanche that claimed the lives of 43 climbers. 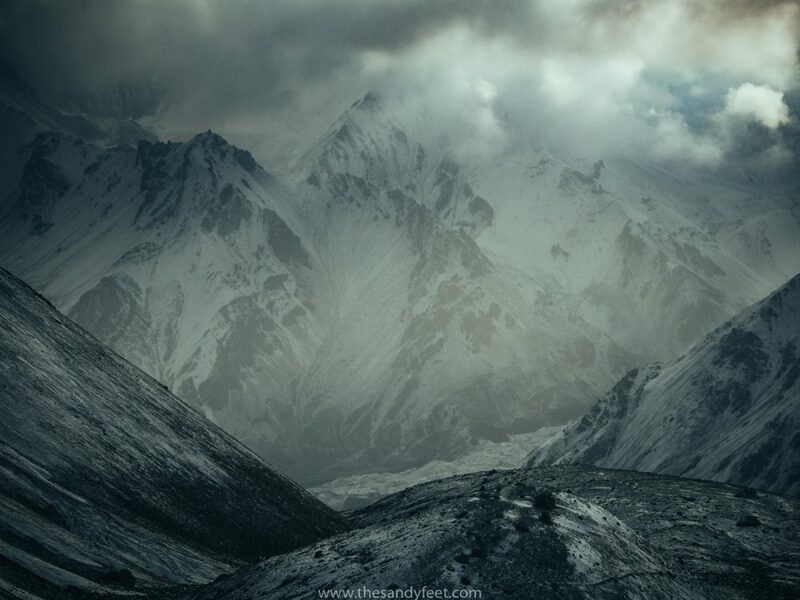 Hugging the edge of the Pamirs, Lenin Peak brews a nasty cocktail of infamously unstable weather, frosty temperatures and serious avalanche risk which, combined with the altitude, mean many amateur attempts ultimately fail. When it came to conquering Peak Lenin, I was no different; seduced by the possibility of hiking higher than I’d ever been before. Looking back now, setting out with such minimal preparation and experience into perilous conditions, it’s almost incomprehensible that I even considered it. Supposedly though, that’s how some of the greatest adventures begin, with an irrational, spontaneous decision to dive into the unknown. I’m just lucky I came back from this exploit in one piece. 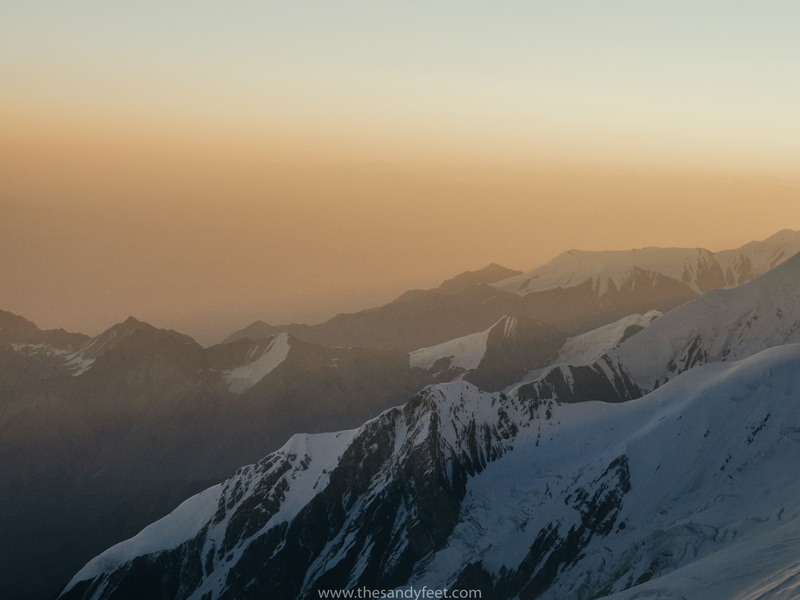 When our motley crew gathered at Bishkek’s Manus airport in mid-August to begin our 3-week expedition to the summit of Peak Lenin, the last for the season, it quickly became evident I was not alone in my unpreparedness. A few were experienced mountaineers having summited Kilimanjaro and undertaken full circuits in Nepal; most were there on a whim looking to inject a shot of adrenaline into their vacation time. 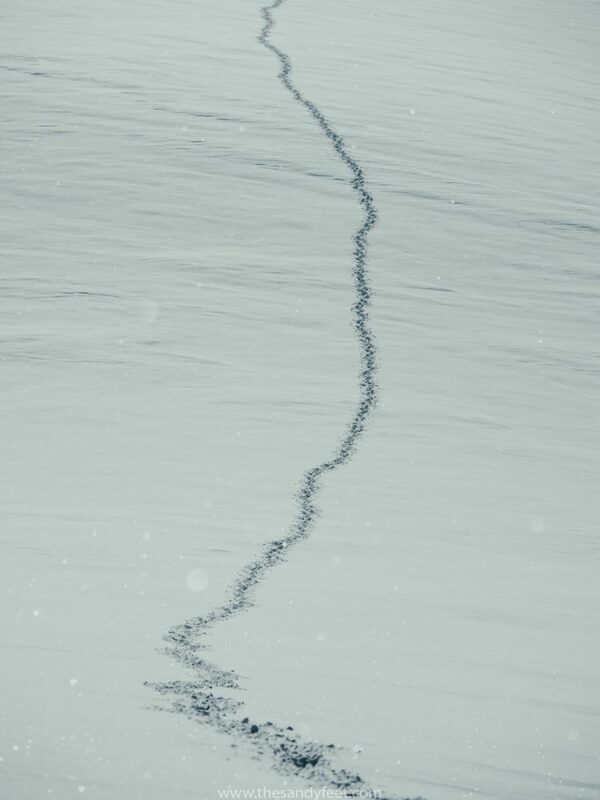 For me, it had been just three days since I had decided to join the expedition. Three days of furiously running around Bishkek to find all the necessary gear and getting my mind prepared for what would be one of the hardest things I had ever done. 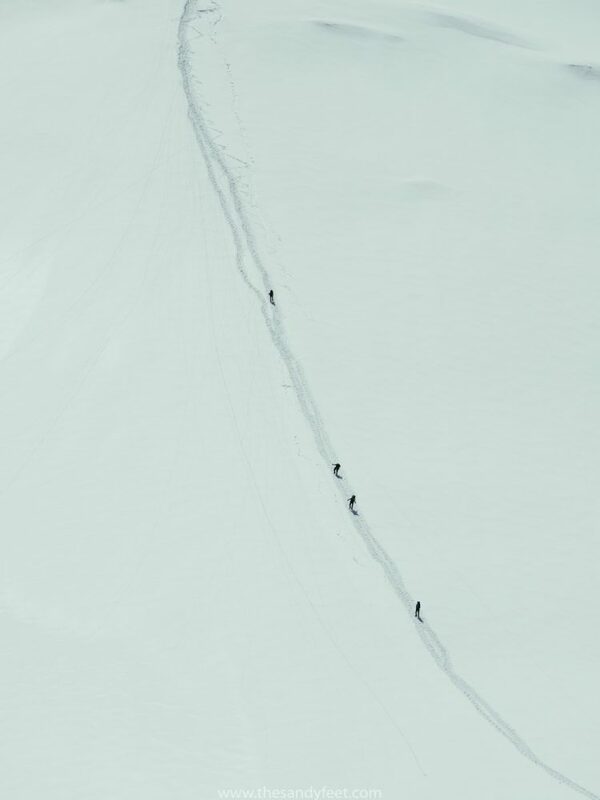 Of the seven who set out on the expedition, just three left for the push to the summit, and only two of us remained on summit day deliberating at 6,500m whether we should abandon our attempt. Ultimately, the icy temperatures, blustery winds and a pair of quickly numbing feet thwarted our efforts and forced us to turn back. Even with a rigorous acclimatisation program, a clear weather window and all the determination we could muster, none of us succeeded. A sobering defeat. In our defence, the 2017 climbing season was not a good one. The weather was horrendous and the chill of winter arrived particularly early. 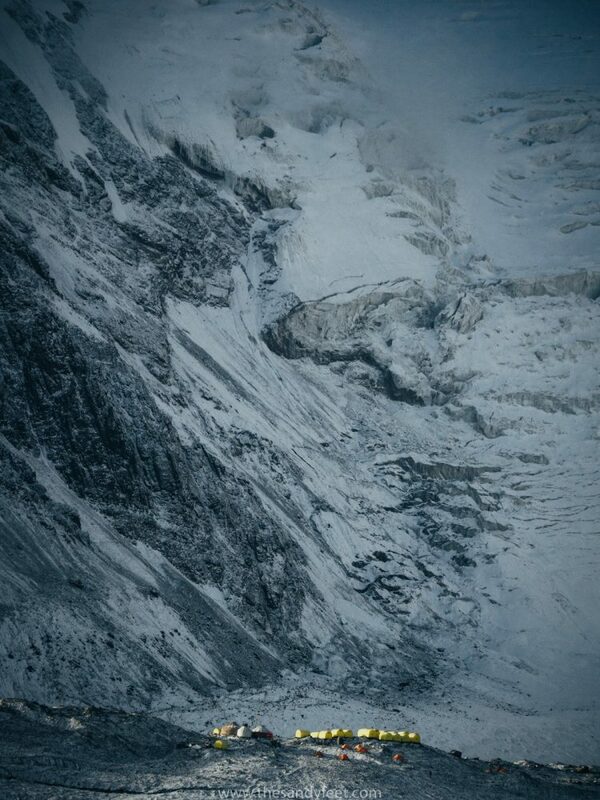 The vast majority of climbers we met, even the experienced, returned unsuccessful, some with frostbitten faces lucky to return with their lives. 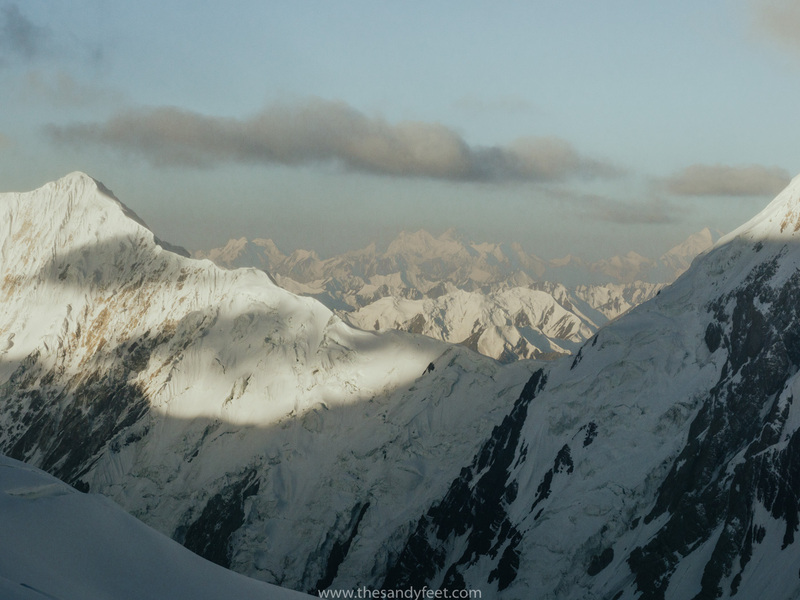 Lenin Peak is not a mountain to be taken lightly, whatever you may read in your guidebook. 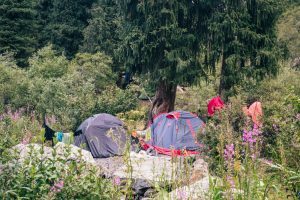 In this guide, you’ll find the route we took to the summit and what to expect at each camp, our best tips for the climb and some essentials you shouldn’t forget. Climbing Peak Lenin is usually a 3-week endeavour involving multiple acclimatisation hikes and rest days before the final push for the summit to ensure your body is accustomed to the ever-rising altitude, somewhat used to the frigid cold and your mind is prepared for the gruelling ascent to the summit. 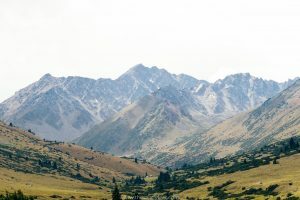 The snow-covered peak lies on the border between Kyrgyzstan and Tajikistan, but due to its easy access, the summit is almost always approached from the Kyrgyz side along the most common route, the NW Ridge. These are the established camps you’ll stop at during the expedition and facilities you’ll have available. 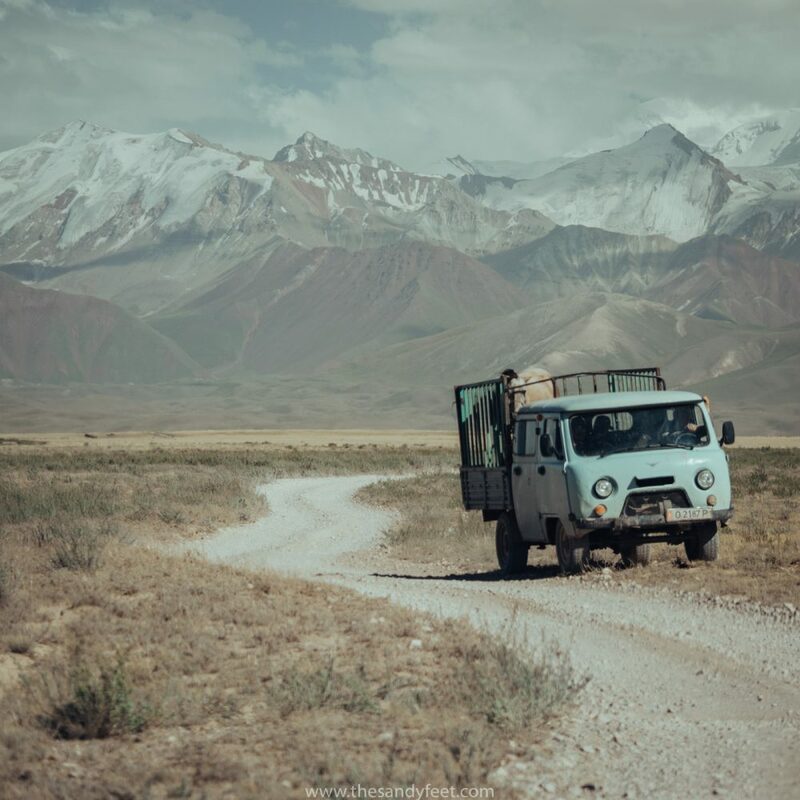 Base Camp (BC) is easily reached by vehicle with a 7-hour drive from Kyrgyzstan’s second largest city, Osh. 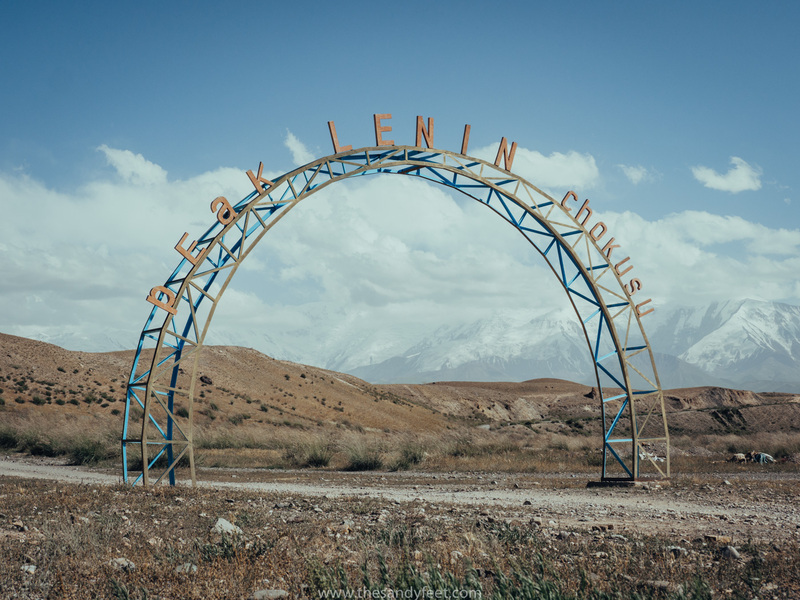 This will most likely be your first stop as part of any Lenin Peak expedition. 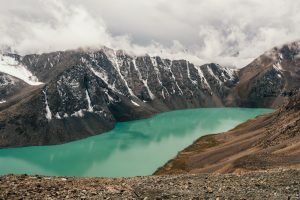 The first four days are spent at BC with various acclimation hikes up to around 4,200m, to get your body ready for the first hike to Advanced Base Camp (ABC). The infrastructure here is the best with warm water, showers, drop toilets and decent food. Luxuries compared to what is waiting further up the mountain so enjoy it while you can. You’ll buddy up and sleep in two-man tents. 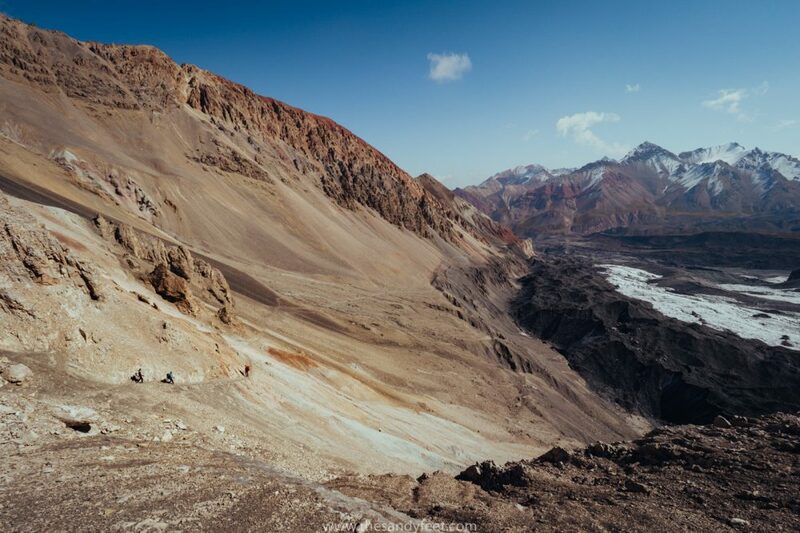 The challenging 17-km hike to ABC runs alongside the Lenin Glacier on a narrow path feeding through the sliding slope of loose scree. 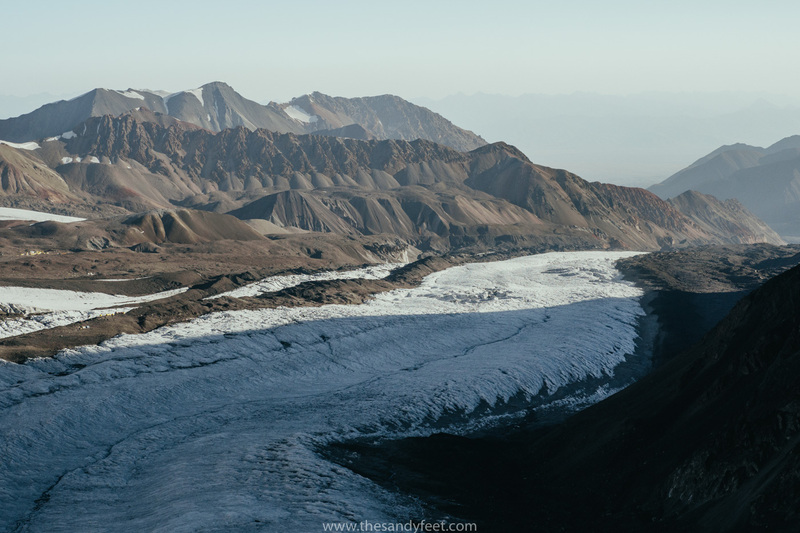 The frightening drop toward the glacier below, the constant movement of rocks underfoot, the roar of meltwater trickling through the glacier and the echoes and groans of the moving ice make for an atmospheric hike. 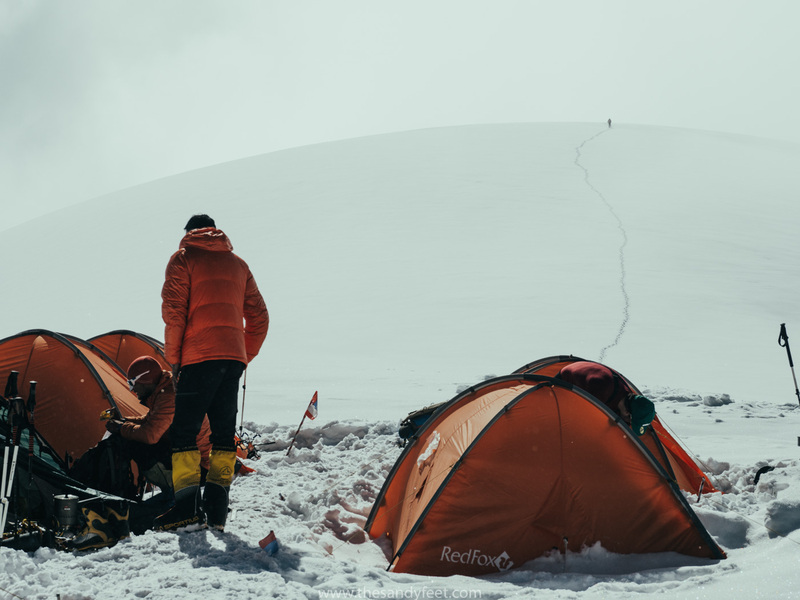 At ABC you’ll hunker down in the two-man tents for the next few days from where you’ll do a few acclimatisation hikes up to 5,100m and practice using the crampons and ice gear. Facilities here aren’t bad with drop toilets and decent food, but that’s it for the showers until the end of the trip. 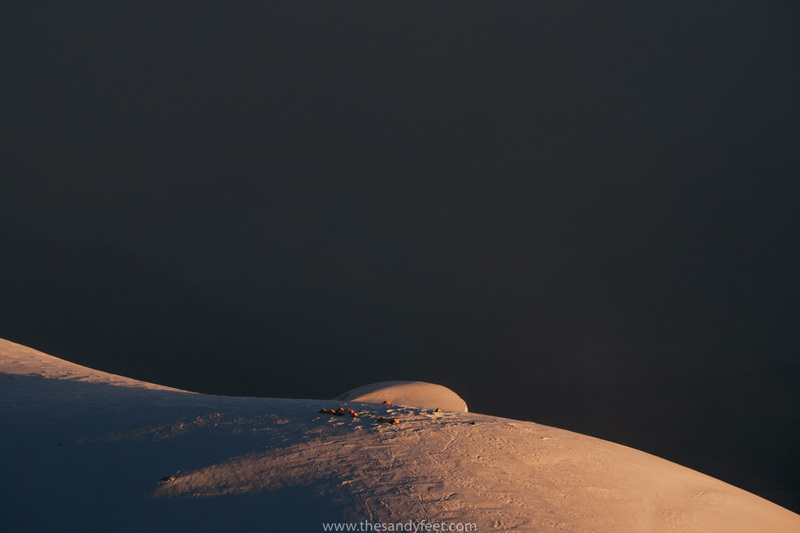 Camp 2 hugs the edge of an enormous bowl of ice nicknamed the Frying Pan, so called from the unusually high temperatures – over 15ºC – that are reached as the sun bounces around the ‘pan’ which heavily increases the risk of avalanches. This is also the site of the tragic mountaineering disaster with the avalanche wiping out the camp that sat vulnerable in the pan. 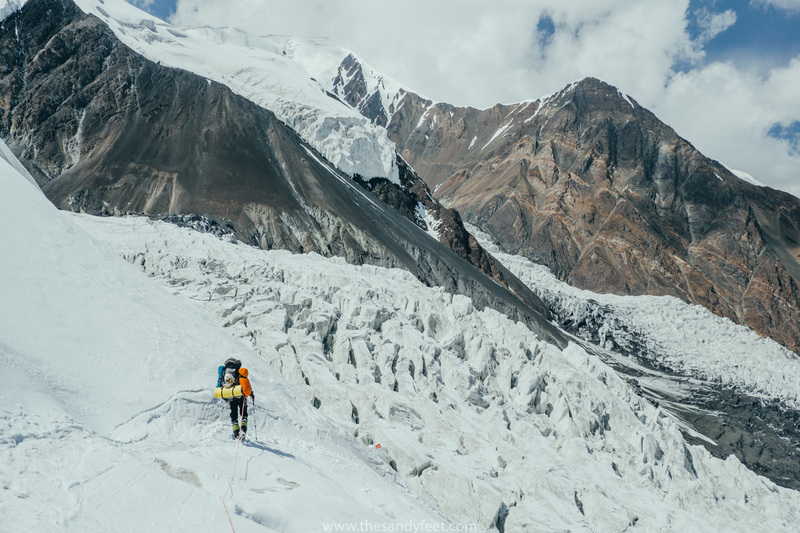 The route from ABC is a treacherous one traversing the glacier with massive crevasses on either side. After the steep and exhausting ascent, it’s encouraged to hurry around the rim of the bowl where the risk of avalanche is high and avalanche debris litters the way. Skirting around car-sized piles of ice and virgin snow, we’re only too aware of the potential danger here. Things get a lot less comfortable at Camp 2. The camp consists of basic two-man tents, you’ll need to cook your own food and there are no proper toilets, just a general toilet ‘zone’. Perched on a step above the bowl, this designated ‘safe zone’ can also become rather cramped. Camp 3 is the final stop before attempting the summit. On your first acclimatisation visit, you’ll arrive from Camp 2 and return to ABC in one day to recuperate before the final assault. The way up from Camp 2 starts with an incredibly steep incline of loose ice and snow laced with rock followed by a gentle ridge that allows a chance to catch your breath before reaching what I like to call, The Wall, an even steeper slope carpeted with thigh-deep snow that will push you to your limits. 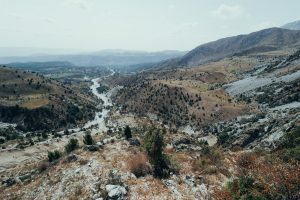 The route is not far in distance but is extremely taxing with a slow and steady march interspersed with lengthy breaths the best approach to the challenging terrain and thinning air. Atop the ridge, the Camp 3 is exposed on all sides which, on a clear day, offers the first spectacular glimpse of the majestic Pamirs and an unobstructed view toward the summit. Though as you’ll soon discover, the striking peak ahead is not as close as it may appear. In strong winds, Camp 3’s vulnerable position is far less desirable. 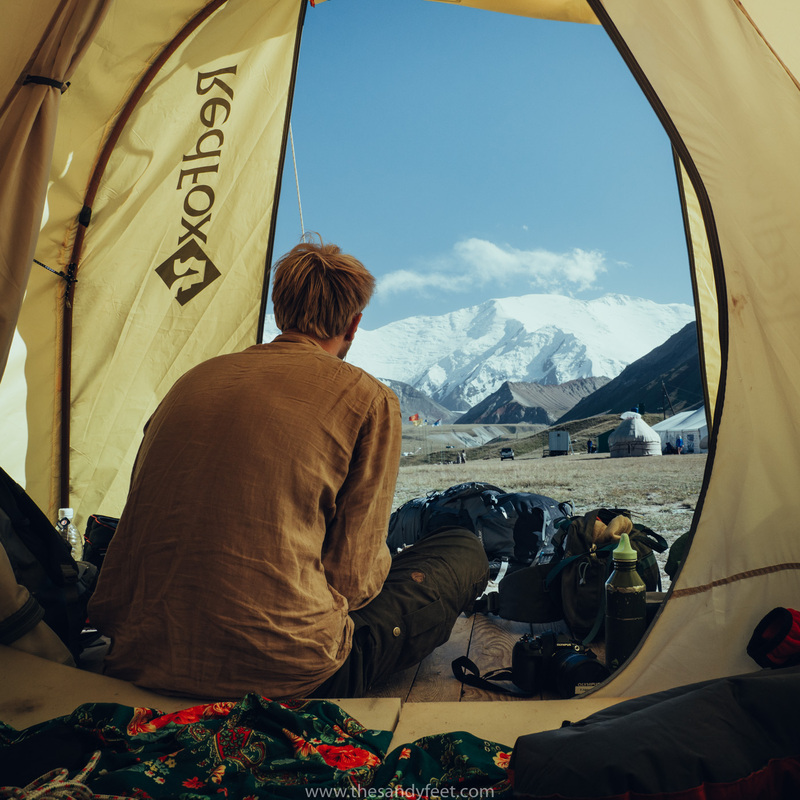 Equipped with smaller, high-altitude tents and no toilet facilities, as long as the weather holds firm, this is a far more pleasant spot than Camp 2. Perched further along the same ridge as Camp 3, Camp 4 sits just below the Knife, a perilous ridgeline with vertical drop-offs. 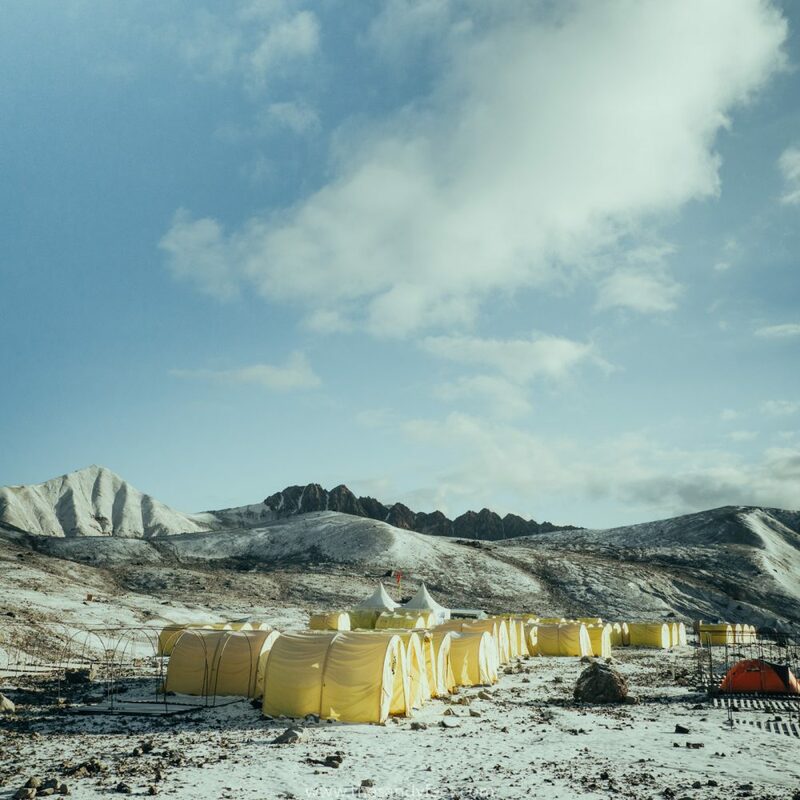 Due to the altitude and precarious position, Camp 4 is rarely used with no fixed facilities. After a few days recovering at ABC and waiting for a clear weather window, you’ll set out for the final push to the summit with nights at Camp 2 and Camp 3 along the way. 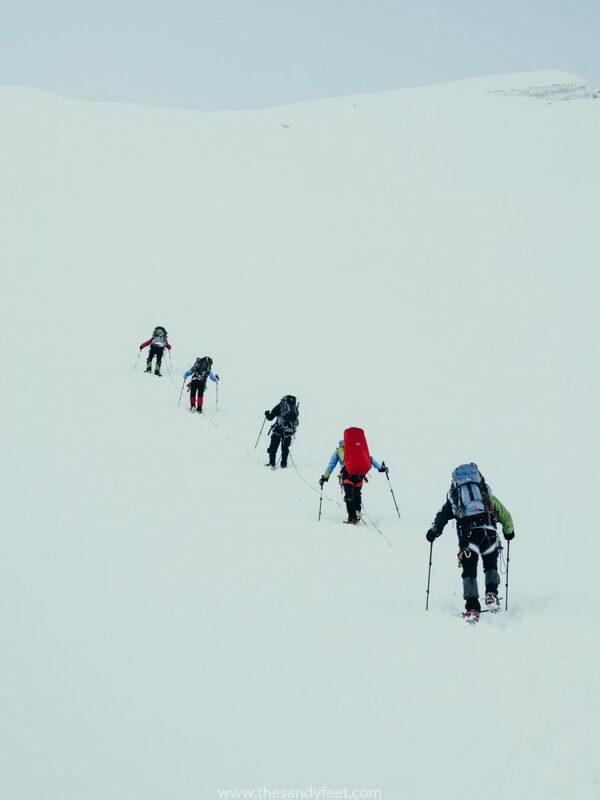 Summit day begins with a challenging climb up the steep ridgeline toward Camp 4 through deep snow that is as physically draining as it is mentally demanding. Stumbling upward through the dark with just a circle of light and a clumsy string of footprints ahead, with every five steps requiring another ten laboured breaths, morale was at an all-time low. The full trip to the summit and down generally takes between 9 and 14 hours. We would only manage to walk 4 before having to turn back, defeated. Don’t Want To Climb The Peak? 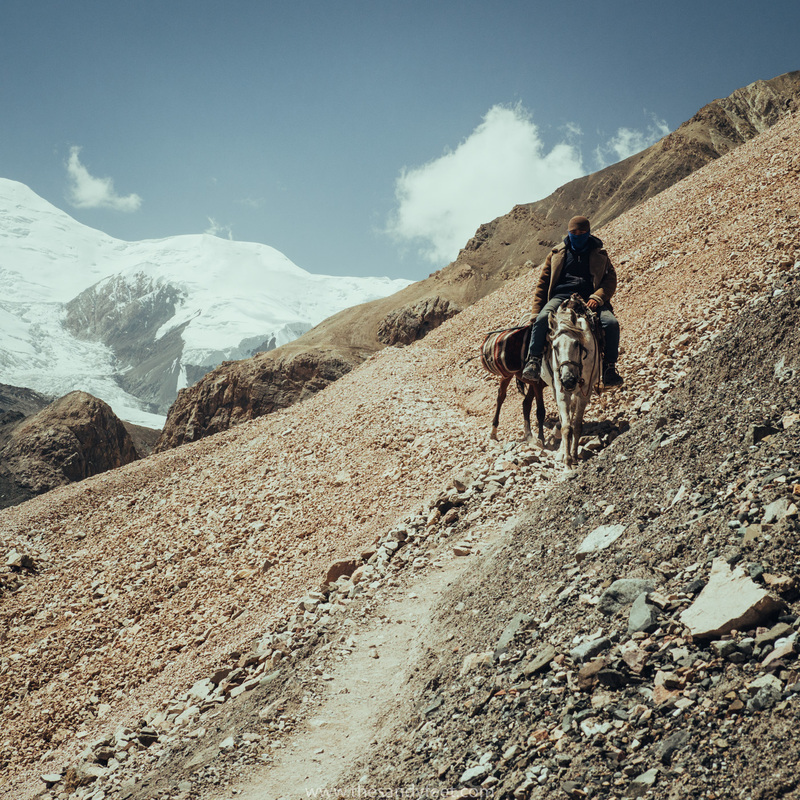 Visit Base Camp On Your Way To The Pamir Highway! There are a number of operators that offer expeditions up Lenin Peak, but not all have the same level of facilities, English-speaking guides or teams experienced with Lenin Peak and the route. In a situation where a sudden, disastrous change could, quite literally, put your life in their hands, we’d recommend this is an instance where you shouldn’t make your decision based purely on price. 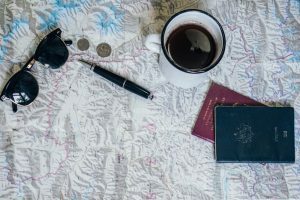 Ask questions about the experience of your guide – do they speak English, have they summited the mountain before and what is the guide to climber ratio; what facilities do they have available on the mountain; what is their reputation for safety etc. 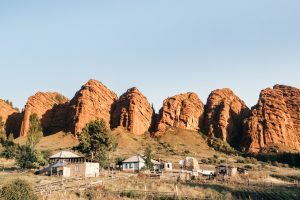 We went with one of the biggest most established operators in Kyrgyzstan and found that while generally, they provided a good service for the expedition and had the best facilities, there were several areas that needed improvement on the trip. 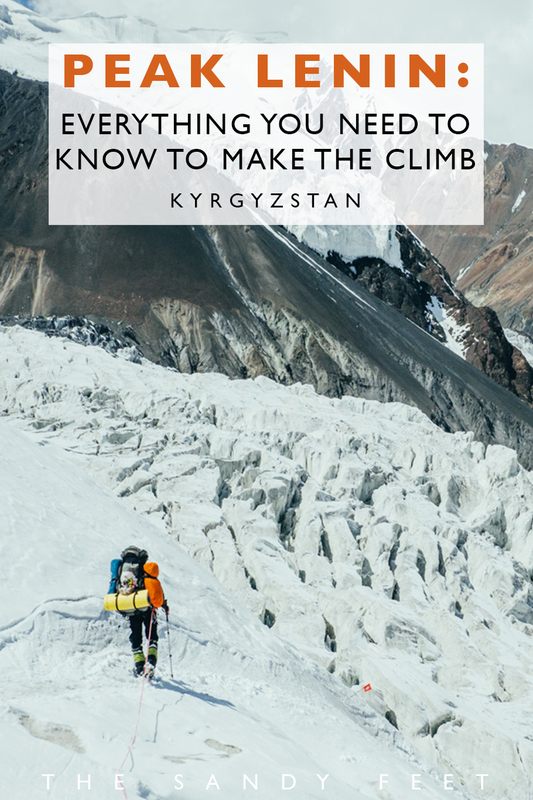 For experienced mountaineers, some of these may be no-brainers, but for the amateurs, they could very well help you get to the top (and back). The season lasts from June to August. The hiking season is short which means a lot of people trying to reach the summit in a limited space of time. 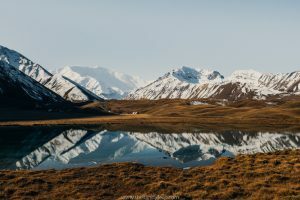 June is generally busier with better weather, while towards the end of August there are fewer groups and the chance of less favourable weather, such as snowstorms, increases. We were the last group to attempt the summit in late August. Being sick is a fact of life on the mountain. 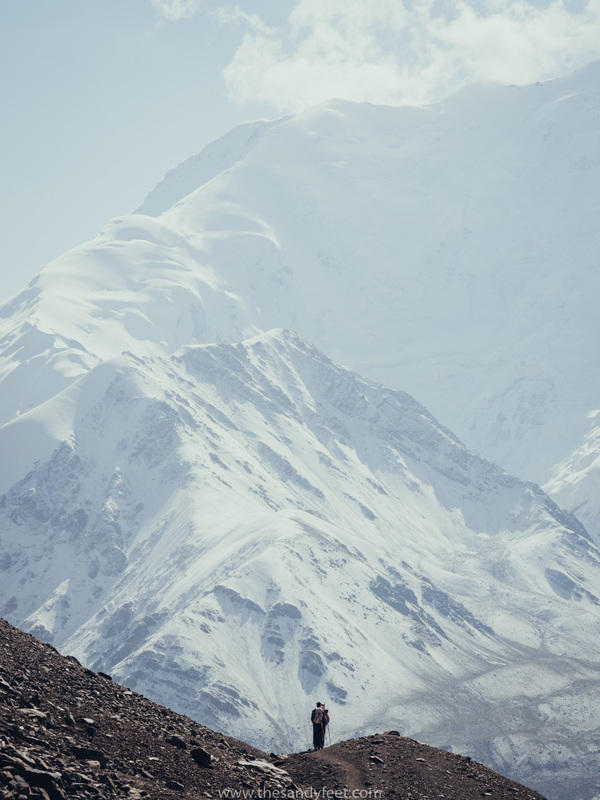 No matter how strong your stomach might be… Lenin Peak will get you. 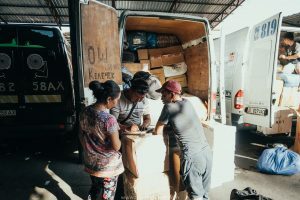 A possible combination of bad hygiene or dodgy food, each of the seven people in our group became ill which seems to be a common theme between the camps. Not exactly what you want at altitude. Bring an antidiarrhoeal and perhaps some hand sanitizer, rest when you can and stay hydrated. Stay mentally strong. Breezing in with the attitude that you’re here to climb the ‘easiest 7,000m mountain on the planet’ is bound to set you up for disappointment. This excursion is anything but. Hiking in challenging terrain, up ridiculously steep ridgelines and stumbling in the snow at 7,000m is f*cking hard. Prepare for that and worse and you’ll be in a far better place. Four of the seven people from our group abandoned the ascent for a myriad of reasons after returning from Camp 3 on our first acclimatisation jaunt. Focus on why you’re climbing the mountain, stay positive and be determined. Don’t underestimate the altitude. 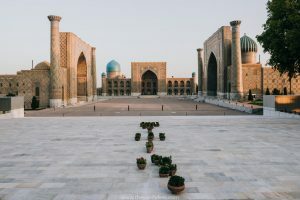 Many people fly into Bishkek and head directly to Osh and Peak Lenin Base Camp from sea level. Sitting at around 3,600m, don’t be surprised if you feel the effects of altitude before you even set out on your first acclimatisation hike. Above 6,000m, when every step is exhausting and every breath leaves you panting for more, its a case of slow and steady. Take your time and stay hydrated. Also, consider arriving in Kyrgyzstan a few days early to begin your own acclimatisation routine. 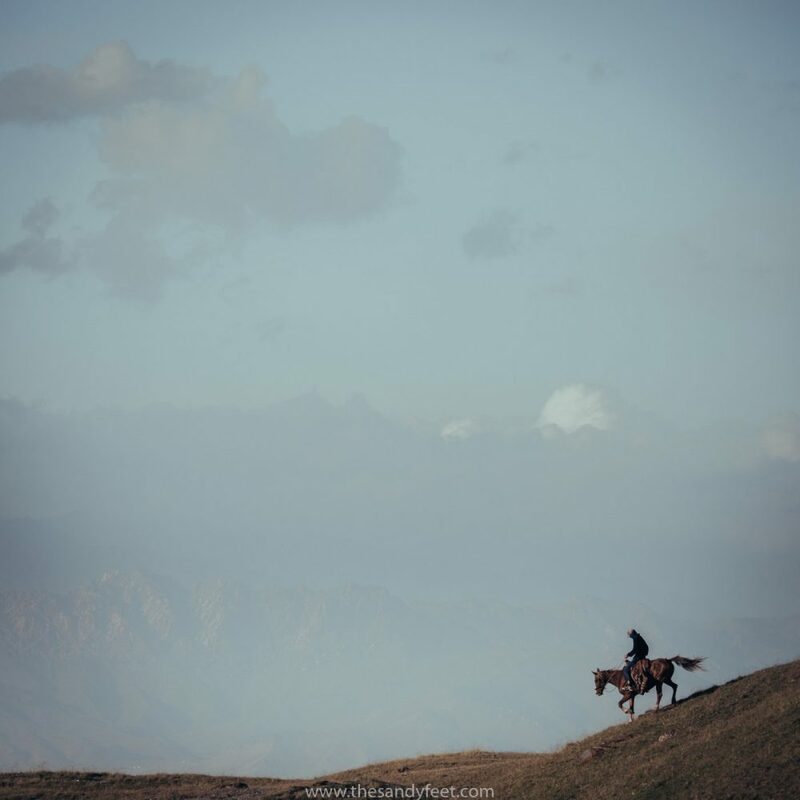 There are mountains surrounding Bishkek and Karakol which have a number of beautiful, less demanding day-hikes on offer (this was one of our favourites). Don’t forget the way back. On summit day, reaching the summit is really only halfway there. 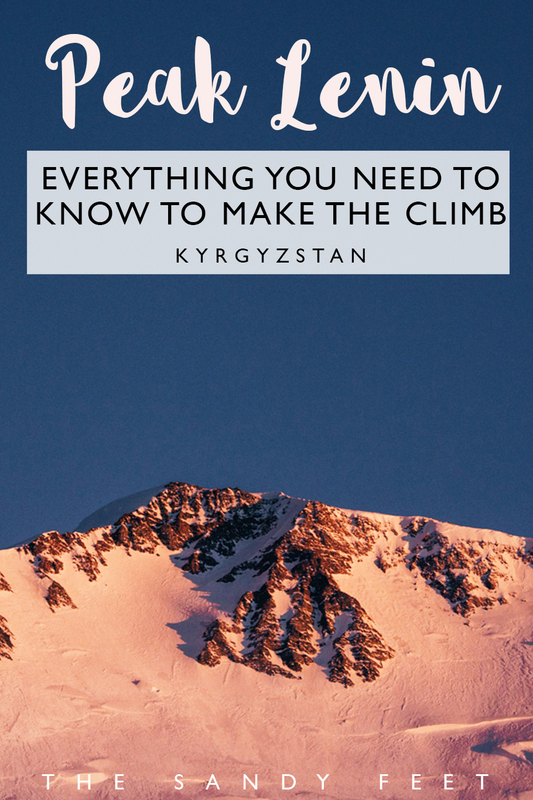 If you’re struggling on the ascent, your extremities are already frozen or you’re feeling unwell, remember there’s no point in reaching the top if you can’t also make it back down. 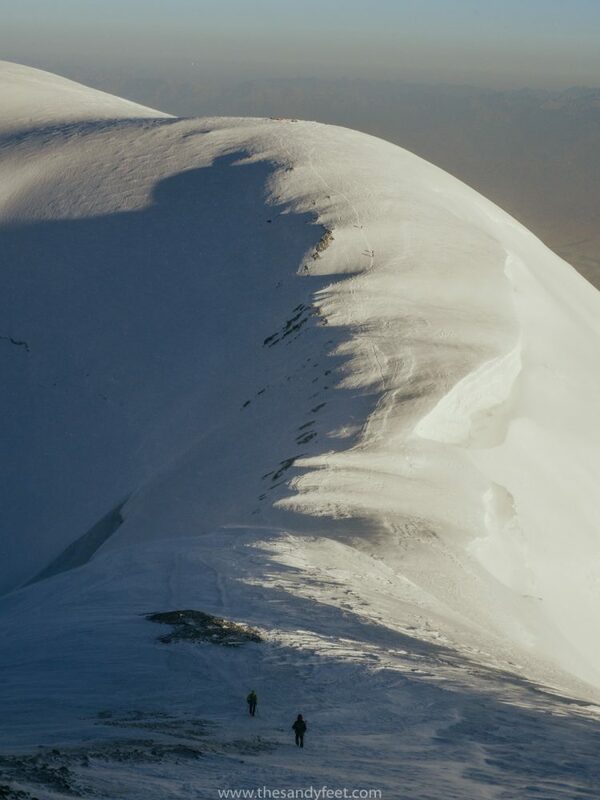 Not making the summit is never a failure when it’s your life at stake. The guides may not all speak English. 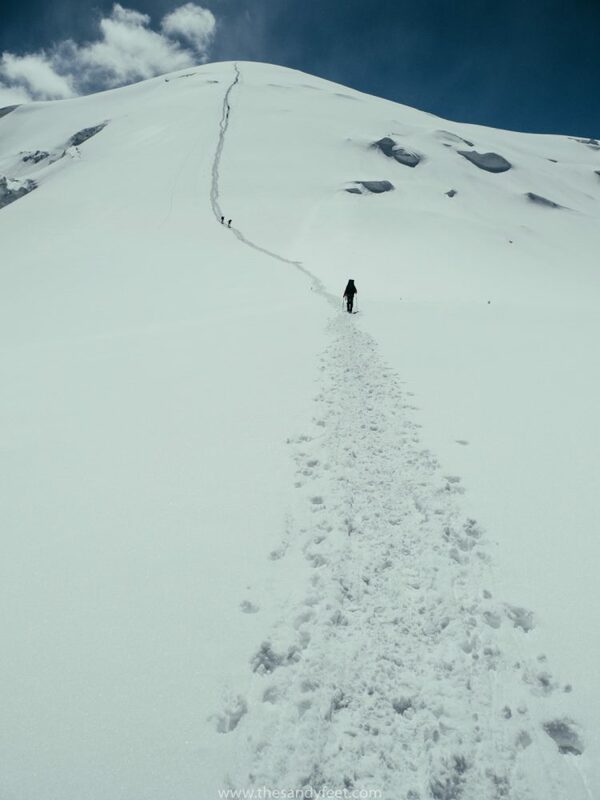 While this never stopped us from communicating with our guides, it often involves hands and feet which is not always easy above 6000m. Use porters if you can. I arrived expecting to carry all my own gear, but when the option to have the bulk of it transported on horseback between BC and ABC arose, almost everyone took it. Between the hiking and the altitude, you’ll be worn out enough. Try to save energy where you can. Plus, all the money goes directly to the horsemen which supports the local community. Prices start at around $3 per kilo and increase with the altitude. It’s best to have all money in USD for this purpose. You go as a team and you stay as a team. You may arrive as an individual intent on conquering the beast, but remember this is as much a team effort as a personal one. 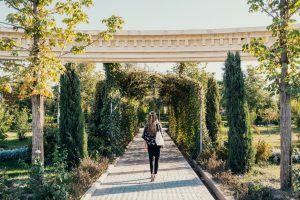 Unless you’re hiring a private guide, you’ll likely have just 2 or 3 per group and generally, decisions are made based on what’s best for everyone, not just you. Listen to your body. Altitude sickness should be taken seriously. 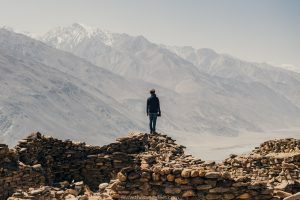 While some people are happy to take Diamox and other medication consistently to suppress the symptoms of altitude sickness, sometimes it’s best to see how your body is responding first and respond accordingly. If you are not acclimatising well or are consistently having symptoms it may be better to have further rest days or is perhaps an indication that you need to get to a lower altitude rather than pushing on. Stay Hydrated. The best way to help your body adapt to altitude is to stay hydrated. Try to drink between 3 and 5 litres of water every day. We also occasionally added sugar and salt to our water or if possible made tea. Avoid caffeine, alcohol and unnecessary over-exertion. Have fun. 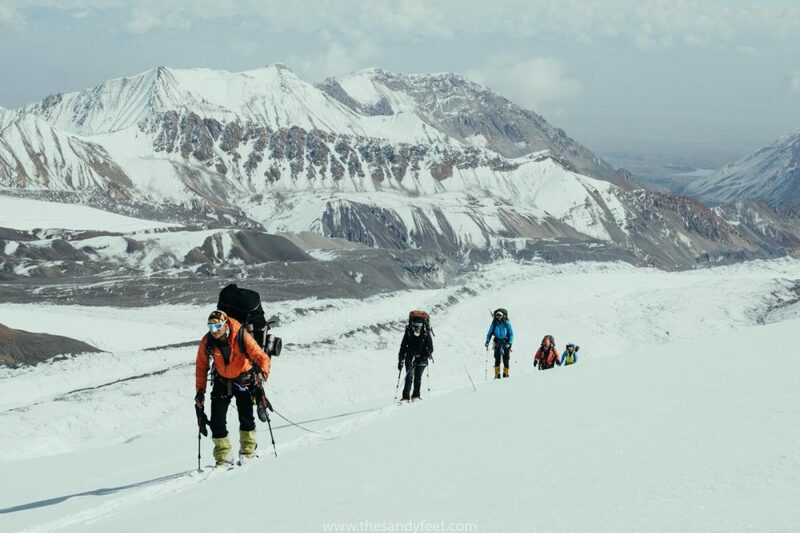 While reaching the summit is the goal of such an expedition, but don’t forget to enjoy the process, whether that be having a Russian sauna at 4,500m, playing cards late into the night or taking a dip in a glacial lake. Aside from the regular gear, these are a few essentials you might not have considered. Toilet Paper. The stuff available is as good as sandpaper, if there’s any at all. Come prepared with the good stuff! Snacks. Nothing perks you up after a long, uphill slog at 6,000m like your favourite chocolate bar. Suncream. The sun is strong way up here in the Pamirs and the reflective snow means you’ll burn easily. Bring a good suncream of at least SPF50, a zinc cream can also be a good idea and a lip balm containing SPF. Don’t forget to apply it to the underside of your nose and chin. A solid camera. 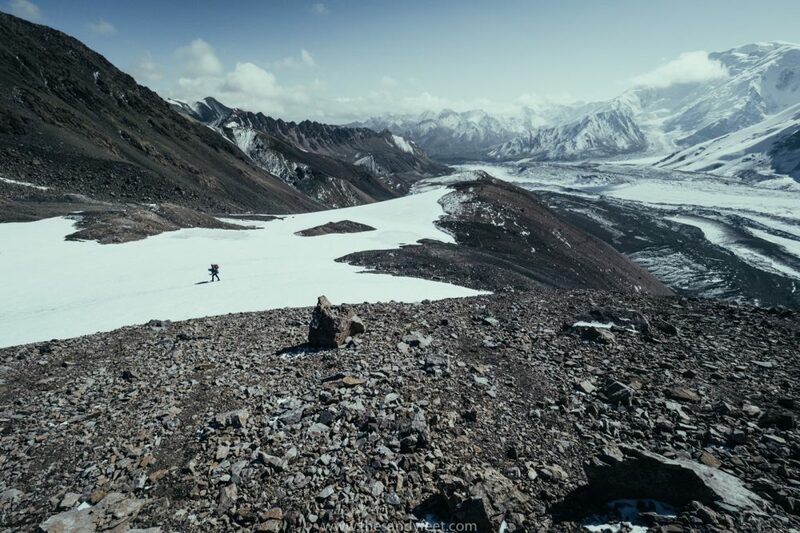 With all the epic views on offer, you’ll want to make sure your camera can handle the cold at 7,000m, the rain at Base Camp and isn’t too heavy or bulky. My favourite Olympus camera is durable, weatherproof and compact and worked like a star the entire trip. Take proper gear. We had to abandon our summit attempt not only because of the weather but because one member of the group could no longer feel his toes. Invest in (or hire) good-quality gear before the expedition, it could save you your fingers or toes. I wore these La Sportiva boots and had warm feet even at 6,500m. Full protection, polarised sunglasses are also essential. Check the latest reviews and prices for these La Sportiva high-altitude mountaineering boots. A deck of cards. You’ll have a lot of down time and everyone loves cards, right?